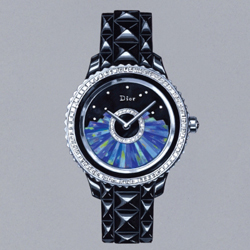 The legendary fashion house Dior has announced the release of a new jewelry collection, which was presented on 4 and 5 July in Paris. This new collection Dear Dior, which includes excellent jewelry and exquisite model, reflecting the limitless imagination of designers. In the style of these exclusive masterpieces responsible Victoire de Castellane, who continued the ideas of Christian Dior, who has put on a delightful necklace of rhinestones and pearl bracelet on mannequins during the show at the Avenue Montaigne in 1954. The new collection includes Dear Dior bracelets, earrings, rings, as well as new models are decorated with a variety of precious stones. Excellent product fashion house is decorated with a scattering of whole stones: diamonds, colored sapphires, tourmalines, rubies, opals, amethysts, emeralds and other stones. 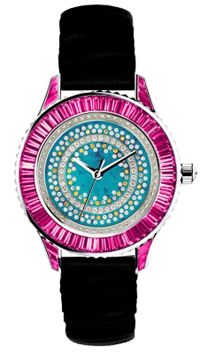 New models are presented in the round buildings, adorned with the most colored gemstones. 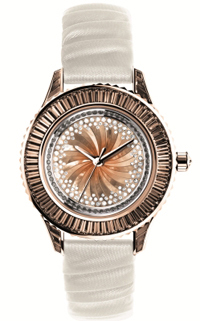 Mother of pearl dials, or conventional models are also encrusted with stones and equipped with two or three central arrows. Complement the new multi-colored satin straps or bracelets. The models are collected on quartz mechanisms. 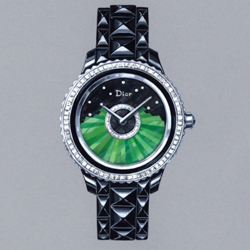 Official launch of Dear Dior collection in September during the Biennale des Antiquaires.